Closeout. 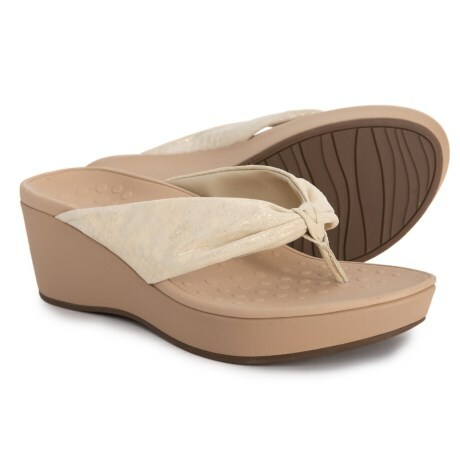 Vionicand#39;s Arabella wedge thong sandals feature a contouring footbed to keep your feet feeling fresh, as well as a simple ribbon upper strap and toe post. Available Colors: CHAMPAGNE. Sizes: 6, 7, 8, 9, 10, 11.